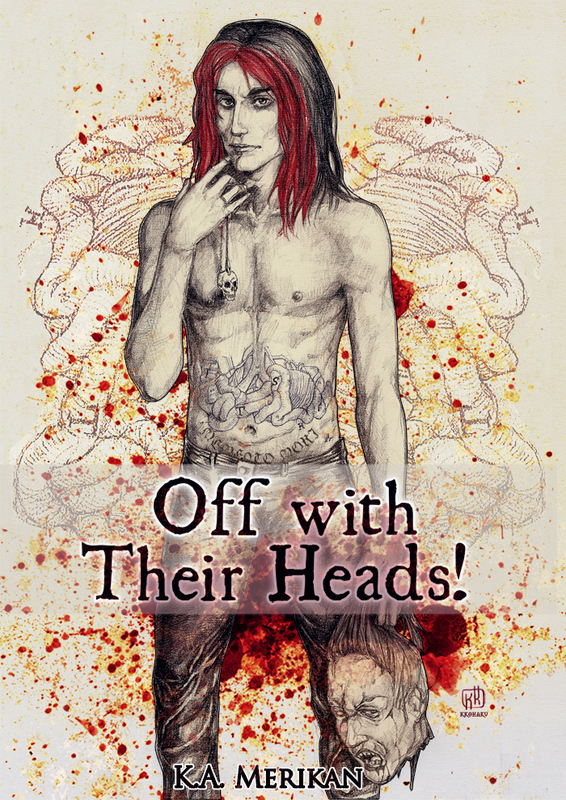 Coming soon – “Off with Their Heads! We are very excited about the approaching release of “Off with Their Heads!”, a novella set in the Gentlemen’s Tales of Love, Lust and the Undead universe. Cover art by the talented Kkohaku. The book has been added to Goodreads. A dim orange light appeared inside, but Clint still couldn’t see much of the room through the tiny door. He felt a bit like Alice at the gates of Wonderland and wasn’t sure if he wanted to jump down the rabbit hole. “May I invite you in, mister Hunter?” Xavier raised his eyebrows and held out his hand.